Every Long Island property owner wants his or her to look distinctively beautiful. One way you can absolutely transform the exterior of your property is by installing a new tile roof on your residence. At Magnum Contracting Group, our roofing contractors can help you with this entire effort. 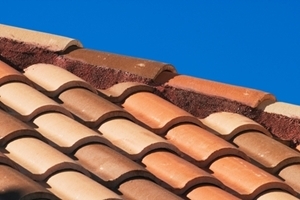 We are the professionals locals know they can trust for beautiful, structurally sound tile roofs in Long Island. Our professionals are humbled by the fact that so many local residents have trusted us with all their roofing related needs over the years. When you hire our team to install a tile roof for you, we will work our hardest to honor your trust by providing you with the highest quality services possible. Your complete and total satisfaction will be our first priority. If you are interested in installing a new tile roof on your property or if you need to hire a professional Long Island roofing contractor that can repair a tile roof, call Magnum Contracting Group today. Our courteous and polite staff would be happy to take your call and to assist you in any way that we can. We would be happy to answer your questions and to schedule your appointment today. The other fantastic reason to consider installing a tile roof on your Long Island home is that these materials are extremely long lasting. Whereas an traditional asphalt shingle roof can be expected to last 20 to 25 years, a properly install tile roof can last 50 to 100. As such, installing a new tile roof on your property is a amazing way to add substantial long-term value and beauty to your home. When you hire our Long Island roofing contractors, you are guaranteed to make the most of the effort. You and your family will love the results for decades to come. After we install a tile roof for you, our contractors will always be available to provide for your repair and maintenance needs. We can conduct routine inspections to identify and repair any issues before they become major problems. If your roof is damaged in a severe storm, we can provide for your emergency repair and insurance restoration needs. If you need a roofer that specializes in tile roofs in Long Island, please call 516-277-2300 or complete our online request form.